Super Bowl LII is finally here! It will begin at 6pm ET today. Once again, Tom Brady and the Patriots will be one of the teams competing, but this year, they will face an unlikely opponent -- the Eagles. Why do I say the Eagles are unlikely? During the regular season, the team lost its starting quarterback, Carson Wentz, to injury -- not many expected the backup, Nick Foles, to take them to the big game. Against all odds, however, we will, in fact, witness New England play against Philadelphia. For Super Bowl 2018, the game will be broadcast on NBC. If you have cable or satellite, you will have no problem watching it. Heck, if you have a strong enough signal you can even get it for free over the air. But what if you are a cord-cutter that gets poor NBC OTA signal strength? Do not panic. Roku has partnered with NBC to stream Super Bowl 52 for free -- no login required. In other words, watching the big game is easier than ever this year. Melissa Morell, Content and Social Media, Roku says the following. The NBC Sports channel will give Roku customers full access to Super Bowl 52, including Pink performing the National Anthem, the Super Bowl Halftime Show featuring Justin Timberlake, and of course, the commercials! Plus, leading up to the Super Bowl, NBC Sports will report updates, breaking news and special features. 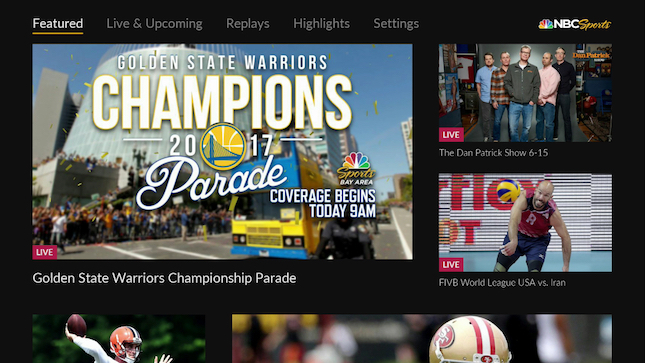 All Roku customers can watch the latest clips and commentary anytime for free in the NBC Sports channel. That's it, folks. Watching the Super Bowl is as easy as adding the NBC Sports channel to your Roku device. If you haven't yet done so, you can add it here. Please note, even though it says a subscription is required on the landing page, that is being waived for Super Bowl LII only. Keep in mind, this free streaming offer is only available for viewers in the USA. Which team are you rooting for? The New England Patriots or the Philadelphia Eagles? Tell me in the comments below.